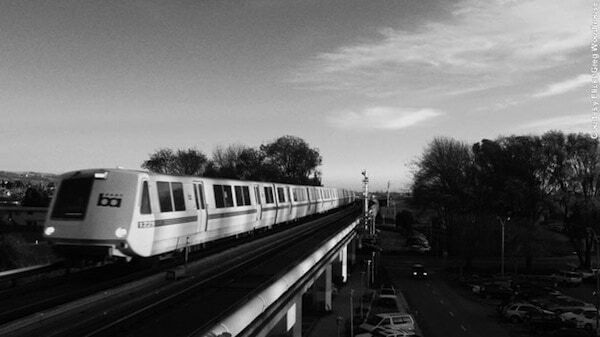 It’s the worst news possible for Bay Area commuters: BART is officially on strike. There are obviously 2 sides to the story, but according to public records, Bart workers average $83K in salary, get $52k in benefits and 10 TO 12 WEEKS OF VACATION every year. Plus, they get $42K pension per year when they retire? There are a lot of reasons for the strike according to the Union Leaders, but the main push seems to have to do with the safety of the Bart employees. Safety is definitely a valid concern, but the hangup in the negotiations seems to be the requested 21% pay increase. Something seems a little off if this is the case. The thought off Bart workers approaching a six figure average salary while schools are being forced to shut down music and arts programs due to lack of funding should be a huge red flag that something needs to change. Public transit in San Francisco came to a screeching halt Monday morning as Bay Area Rapid Transit unions went on strike. The strike began at midnight (3 a.m. ET) Monday after union leaders walked out of last-minute pay negotiations with BART, hours before their four-year contract was set to expire. About 400,000 commuters use BART every day in the San Francisco Bay area, BART spokesman Rick Rice said. Josie Mooney, spokeswoman for SEIU Local 1021, also lamented the impact on the community. The dispute centers around pay and benefits. Rice also said BART also offered to reduce the amount of employee contributions originally requested for pension and medical benefits. But local SEIU union President Roxanne Sanchez said workers are fed up. “Years of layoffs have affected public safety and services. Crippling cuts have not just made our jobs more difficult, but put undue strain on our livelihoods, our families and our communities,” she said in a statement.